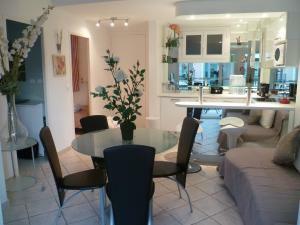 Appartement Cheverny is situated 200 metres from Boulevard de la Croisette, in Cannes city centre. With a contemporary decor, it features an LCD TV, free Wi-Fi internet access and a furnished balcony. The fully equipped kitchen includes a dishwasher and a microwave oven. It opens onto the living room, which includes a dining area, the sofa and big French windows. This apartment has 2 bedrooms and can accommodate up to 3 guests. A wide range of shops, bars and restaurants can be found in the surrounding area. Cannes Train Station is a 13-minute walk away while the Palais des Festivals et des Congrès is 1 km away. 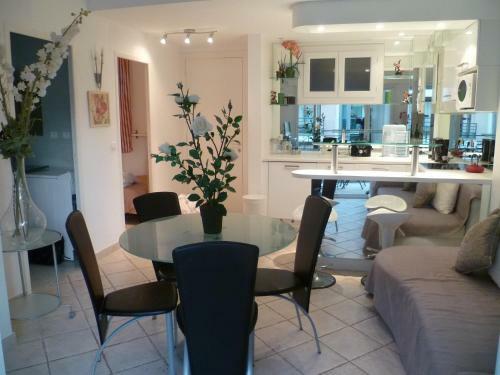 Nice Airport is 32 km from Appartement Cheverny. Please note that prepayment by bank transfer is due before arrival. The property will contact you directly to organise this as soon as your reservation has been made. Please note that your credit card details for a EUR 500 deposit will be requested upon arrival. These details may be used to charge for any damages incurred to the villa during your stay. Bed linen/towel rental is available at the property.